This slide combines the best of two challenges: rock climbing and sliding! 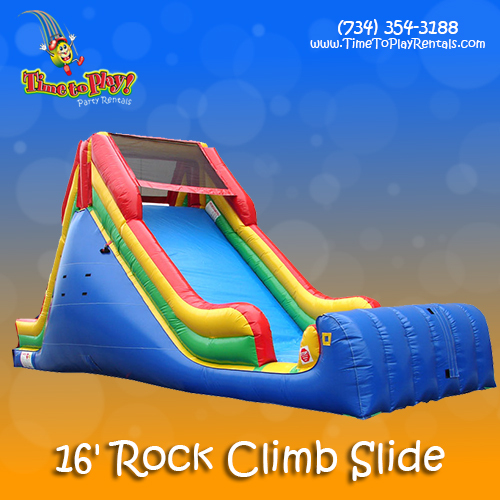 Our 16’ Rock Climb Slide works great as a stand-alone unit or with other inflatables and games. Kids of all ages will enjoy the fun of racing to climb the slide and soaring the bottom!